Though there was much in the recent series of Doctor Who that niggled me, the sight of our heroes galloping towards Stonehenge couldn't fail to squeeze out a gasp of delight. While I know nature is remarkable without exception, certainly not only cordoned off by a gorsedd of standing stones, there's something dizzying about the presence of stone marshals in formation. 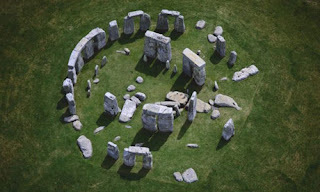 Summer news from Salisbury Plain suggests Stonehenge is no longer the only megalithic player in town. Pricking the arrogance of singularity, archeologists have found confirmation of a woodhenge buried beneath ground level within chanting distance of the stone circle. Professor Vince Gaffney calls the finding "remarkable", suggesting it will "completely change the way we think about the landscape around Stonehenge". And while it is almost beyond excitement to witness archeologists using clever machines, allowing them to see the subterranean landscape and map it digitally, the sun's unhurried arc across the sky seems to make more progress than the body of scientists exploring what these sites were for and how they were assembled. I am lucky enough to live way out west, about as far as you can get before reaching the Irish Sea. The landscape of Pembrokeshire has more than a tangential link with that of Stonehenge. The bluestones, which form such an integral though subtle part of the stone circle, have their origins in the wild rock-crested ridges of the Preseli mountains. The link between West Wales and mysticism is as intact as the one between Wimbledon and strawberries. Out on the fringes of the land you don't have to walk far before passing a lonely dolmen or recumbent burial chamber. Indeed, much like armoured police vans in central London, sacred sites out west seem to be becoming more frequent by the day. There are many different ways of gaining information from the natural world and the established scientific method presents one of them. The more intuitive and spiritual methods of consulting with the spirits of place, element, plant and animal might seem hilarious to those who would consider Glade Air Wick the acme of rational achievement, but they have as much a place in our relationship with the world. More, sometimes, in that they offer the individual conducting the questions a sense of humility instead of hubris, and don't see the need to kill or smash the object of enquiry. Or drop it into Milford Haven. There is a field not far from me where a stone has just risen, as if being born from the earth. Where there was recently nothing but tussocks of grass and clusters of Poppets-shaped sheep poo, there now stands a megalith. As compelling, even reassuring, as the rational method is, it is never the whole story. I can't help thinking the originators of sites like Stonehenge, however they constructed it, had a better understanding of this than us. For all our machines. Move over Stonehenge, there's a bigger stone circle in town. 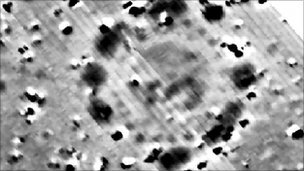 Archaeologists are busy excavating Marden Henge, a giant stone circle and earthwork ten times larger than its more famous cousin. It's not nearly as well-known, however, because all of its stones have been lost or buried. Traces of a giant earthwork and ditch that encircled the monument do survive, and archaeologists hope they'll reveal secrets of England's prehistoric past. While everyone knows about Stonehenge, many people don't realize there are nearly a thousand stone circles in the British Isles, from massive ones like Avebury (shown here) to smaller ones like the Rollright Stones. Marden Henge is in Wiltshire, close to Stonehenge and Avebury, and could provide clues to how and why they were constructed. The giant circle encloses about 15 hectares (37 acres) and has a mound at its center. Archaeologists plan to investigate both the central mound and the earthwork and ditch. The Neolithic farmers who built these monuments often put sacrifices in the surrounding ditches. While there are no current plans for a visitor's center at Marden Henge, there are plenty of other stone circles open to the public. Some of the more famous cater to visitors with interpretive signs and parking lots, while others simply stand in open fields, an enduring part of Europe's ancient landscape. An excellent website to help you plan a visit is The Megalithic Portal, which includes information on stone circles and other megaliths such as barrows (tombs) and menhirs (individual standing stones) in the UK and all around the world.